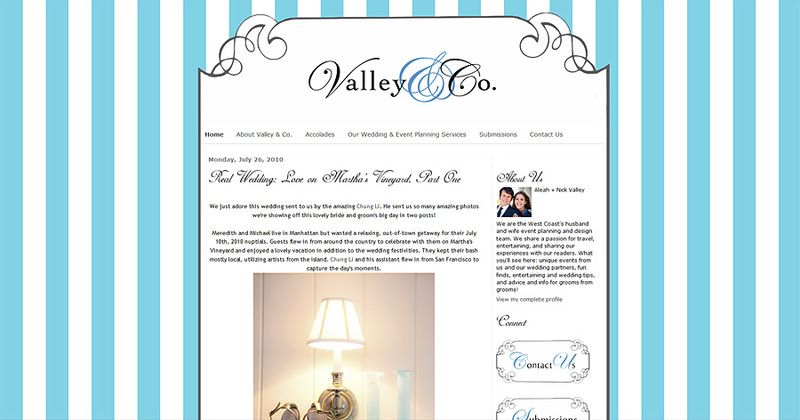 Valley & Co. is the creation of Nick + Aleah Valley, owners and principal wedding and event planners of Fine Line Management & Events, Seattle, and the Good Life Special Events, San Diego. They are also the Little Black Book Vendor of the Style Me Pretty wedding blog , locate in Southern California. 2010-07-02 Cole is 3.5 weeks old already !! !